Ace Combat 7: Skies Unknown - Everything you need to know! Take to the skies above when Ace Combat 7: Skies Unknown launches later tonight. While you wait for the game to launch get up to speed with our handy recap guide! What is Ace Combat 7: Skies Unknown? 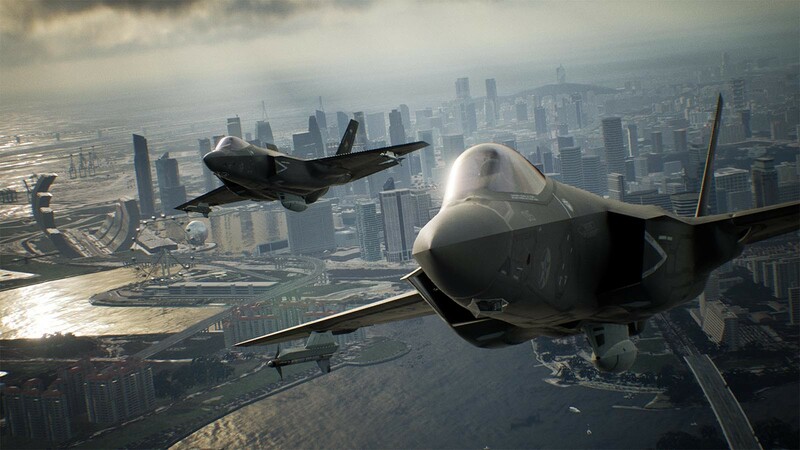 The next chapter in the popular aerial dogfight series is back today when Ace Combat 7: Skies Unknown launches later tonight. You'll become an ace pilot and soar through the photo-realistic skies, with complete 360 degree movement at your disposal. Take down enemy fighters and fast paced action as you fly through the air. Developer Project Aces is looking to achieve the ultimate flight experience with the most realistic and immersive entry in the series so far. Take on a variety of missions as you shoot down enemies and blow up a number of bases in various environments. Getting behind the controls may take newcomers a bit of getting used to as the series has been known for advanced maneuvers, but when you've learnt those you'll be ready to face anything. Weather will also play a big part in the levels and hazards such as bolts of lightning could make piloting tough. The game also includes a lengthy campaign with between 10-15 hours worth of content as you play conscripted pilots who have been enlisted to fight in a war. You can also fight friends and foes in the online multiplayer, with modes such as Team Deathmatch and Battle Royale. If you're looking for an immersive arcade experience with detailed jets then Ace Combat 7: Skies Unknown may be the game for you! Looking for a recap on all Ace Combat 7: Skies Unknown trailers, gameplay videos and other videos you've missed? We've put together a playlist for all that below! Fight in the skies above when Ace Combat 7: Skies Unknown launches later tonight. You can get your key right after purchasing and start preloading so you'll be ready to go at launch. Have at least 35 GB free space in order to download the game in advance. Note: The game requires a 64-bit processor and operating system. Not sure which version of Ace Combat 7: Skies Unknown to get? Take a look version comparison to see which one is the best for you! 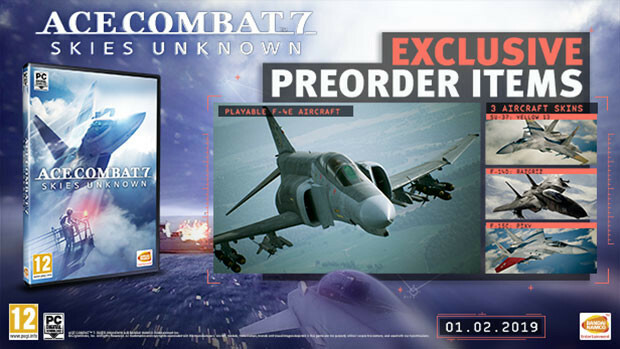 Both versions come with the pre-order bonuses such as the Playable F-4E Phantom II aircraft and 3 aircraft skins, while the Deluxe also contains the Season Pass and 8 Emblems. Problems with Ace Combat 7: Skies Unknown? We're here to help! Getting a new game is an awesome experience and we want to make that as trouble free as possible, so we've put together a guide of common troubleshooting problems and FAQ's to help you out with Ace Combat 7: Skies Unknown on PC. You can find our Help Topic here.